TRANSLATORS AND SWORN-IN-COURT INTERPRETERS English, German, Greek, Macedonian, Slovene, Croatian, Dutch, Portuguese, Italian, Spanish, French, Russian, Polish, Czech, Albanian, Montenegrin, Bosnian, Montenegrin, Swedish, Arabic, Hebrew, Hungarian, Romanian, and Bulgarian language. If you need official translation of your documents, sworn-in-court interpreter’s presence when verifying contracts and signatures before competent authorities, or at your wedding ceremony - Lexica is an ideal solution. * A legally authentic translation can be issued only by a certified sworn-in-court translator, under a resolution of the Ministry of Justice of the Republic of Serbia, and guarantee that it is true to the original document. SERVICES: * LEGAL DOCUMENTS - abstracts from the Register of Companies; Articles of Association; annual statements; balance sheets and P&Ls; certificates; contracts; claims; resolutions; decisions; minutes; regulations; financial statements and audit reports; tender documents; technical documents; etc. ; and translator’s attendance at the verification of contracts and signatures before competent authorities. * PERSONAL DOCUMENTS - birth, wedding, death and other certificates; credentials; authorizations; diplomas; grade and curriculum certificates; etc. * SIMULTANEOUS AND CONSECUTIVE interpretation (press conferences, seminars, workshops, business meetings, etc.) Lexica provides prompt and efficient service, competitive prices and the quality that makes a difference. Lexica’s motto is: We speak your language. Lexica provides translation / interpretation services from Serbian into German, Dutch, Swedish, English, French, Macedonian, Greek, Slovene, Croatian, Hungarian, Czech, Romanian, Bulgarian, Russian, Albanian, Turkish, Arabic, Hebrew, Slovakian, Italian, Spanish, and Portuguese language. 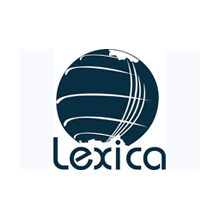 Lexica also provides translation / interpretation services from German, Dutch, Swedish, English, French, Macedonian, Greek, Slovene, Croatian, Hungarian, Czech, Romanian, Bulgarian, Russian, Albanian, Turkish, Arabic, Hebrew, Slovakian, Italian, Spanish, and Portuguese into Serbian language. 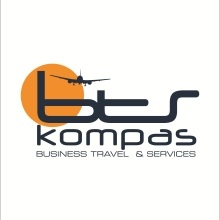 Business travel & services (BTS) - Kompas is an agency which organizes business and provide services to corporate clients according to the needs of their companies, teams and individuals who perform specific tasks at home and abroad. BTS - Kompas is committed to providing high quality services to make the journey proceeded as client, their business partners and associates planned, whether it is contracting, visiting business meetings, conventions, trade shows, conferences, seminars and study trips and motivational. Agency is available when the need for the organization of corporate meeting planning, building and nurturing business teams, educational meetings … in one word for all travel, and events which are required by corporate obligations of clinets. For its clients and their families BTS - Kompas organizes holidays at home and abroad tailored to their wishes and needs. BTS - Kompas insist on the highest level of service, fostering best practices and high professionalism of its employees as the most important resource. When they talk about the they work, they think of the creativity and imagination that drive them, the details of which they care, that they work with passion and a decent memory. BTS - Kompas is there to meet the expectations of their clients. 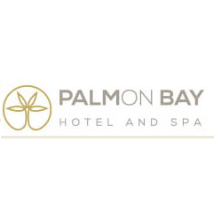 Being one of the MICE pioneers in Montenegro, Talas-M DMC has developed a strong reputation of delivering high quality custom solutions for each client. Enthusiastic team of young professionals is always ready to make organizers fall in love with this beautiful country. Long term partners and satisfied clients all around the world are the best references for all that Talas-M DMC does. Talas-M DMC has received a Wild Beauty Award 2011 - the annual award for contribution to the quality, recognition and promotion of Montenegrin tourism in the category “Tourism agency with the best results in MICE tourism”. 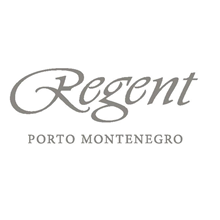 Meetings & Conferences Montenegro is a destination with various possibilities for conference organizers, from medieval venues to state-of-the-art conference facilities. Talas-M is PCO producing international conferences and congresses. Agency covers every aspect of meeting, complete or partial management of organizers event. Most of Talas-M clients are coming from different industries, pharmaceutical, financing, automotive and other specific associations. Incentives Talas-M is welcoming clients to this highly inspirational and creative environment where from Roman times people used to enjoy benefits of Mediterranean climate and beauties of the green mountainous region. In such scenery agency provides full service custom-designed incentive programs. The goal of Talas-M DMC is to be a dedicated partner in the most efficient way focusing on service excellence and creativity. Be first to discover new MICE destination, where well prepared Talas- M team is waiting for you. Events At Talas-M employees aim to make every event a memorable and successful occasion by providing the perfect venue and excellent service from start to finish. The interactive nature of Talas-M events gives the company a chance to communicate with the target group and deepen the relationship. Talas-M is expert in program design and development, delivering inspiring live events with imaginative and meaningful concepts. The team of Talas-M approaches every project with the same intelligent, passionate, creative and logic way. Let Montenegro be the place for your next event. Shore excursions Talas-M DMC is providing services for cruise ships from Montenegro and via sister company Dubrovnik Travel from Croatian ports. Talas-M DMC tailor-made shore programs are an excellent blend of things to do in Montenegro, combined with other Adriatic ports of call. The Talas-M multilingual staff, with years of experience in the cruise and shore excursion business, is prepared to fulfill all wishes of clients. 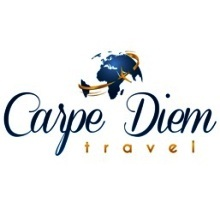 Carpe Diem Travel is privately owned travel agency, established in January 2014. License No.OTP 13/02014 is for agency tour operators with code 79,12. M.I.C.E. i DMC agency. 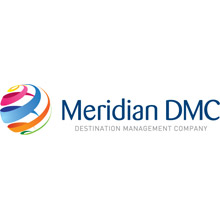 The main aim of the agency is to encompass tourist activities mostly for the business people.The programs and service that agency Carpe Diem Travel provides are designed with careful selection of details, with the desire that every trip is a memorable experience. Most of their clients are business people who expect full, top quality service. 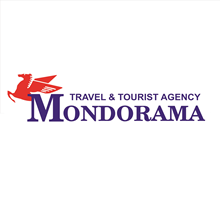 The agency provides full service, both for the groups and the individuals: air ticketing, booking accommodation, transfers, city tours, rent-a-car, tickets for the fairs, cultural and sport events, registration for the congresses, cruising, tailor made programs... both outgoing and incoming services. The team of agency Carpe Diem Travel is available 24 hours, every day and at full disposal to them. Experienced owner and stuff, with over 30 years in tourism industry, will be more that happy to provide clients with top quality service. 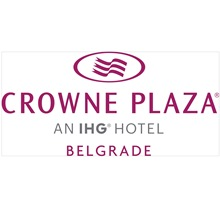 Multilingual, customer-minded, highly professional, reliable and flexible team. Agency Alexander Tour Company has been tailor-making events for 23 years and is passionate about creating inspirational travel experiences. Agency multilingual team work to plan and carry out a unique event, whatever the interests, participants number or budget is. The team of experienced consultants is able to provide a complete range of best-spoken products relating to business and leisure travel. A priority in Alexander Tour Company work is the attention to the details and the ability to provide innovative first class service by fully recognizing and understanding clients` requirements. Agency philosophy is to offer extensive range of services which delivers real value for their clients and leave a long-lasting impression wherever in Bulgaria you travel. With an in-depth knowledge of the country as a destination, years of experience and excellent relationships with local partners the team of agency creates flawless execution of meetings and events. Over the years Alexander Tour Company has developed very strong relationships with their vendors, securing to them an enviable reputation within the industry and in-depth destination knowledge. 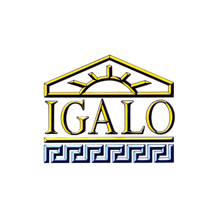 The challenges that agency has undertaken in the last 20 years include the organization of different types of events from the implementation and management of congresses for thousands of delegates to incentive trips for groups of no more than a few individuals; from brain storming team-building activities to company reward trips. Talas Serbia is a Destination Management Company in Serbia, specialized in organisation of congresses, meetings, incentives, team building and other events of any size. Agency delivers a full range of services to clients, always trying to bring the best innovative ideas. Talas S DMC team covers every aspect of the program development and execution from the earliest planning stages through to the final day of the event. 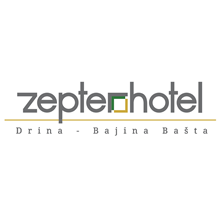 Intimate knowledge of the country and region together with personal attention result an impeccable service. Talas S professional team provides sensitive budgeting and fresh ideas that are key to agency success. Whether client decides to reward its employees, impress a client, or meet new people, Serbia is the right destination and team of Talas S DMC is the one to help you make it happen. Let the team of Talas S plan a perfect programme for the organization of a special event, entertainment, decor, transportation, tour or team building scenarios. DT Slovenia agency is specialized in the organization and orchestration of meetings, incentives, exclusive groups and events. With its team of highly trained, multilingual and experienced young professionals, DT provides complete support to clients and partners throughout Slovenia and its neighboring countries. 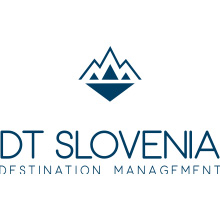 Since it is founded, DT Slovenia has successfully operated all contracted programs, delivering a full range of service to its clients, while trying to bring innovative ideas to the table in order to exceed expectations, since the opening in 1998. Specialized services that agency provides covers every aspect of program development and execution from the earliest planning stage through to the final day of the event. Specialized services include: - creative programs with innovative and cost effective solutions; - recommendation of the best destination fulfilling a particular group’s needs; - venue selection services; - accommodation booking; - conference budget planning; - registration service and management; - fast quotations with fair prices; - orientation visits; - development of detailed itineraries; - efficient and reliable personalized services; - supervision and coordination of the program by senior office staff during operations; - social and partner programs; - promotional and print material; - buses and boats of the highest available standard and much, much, more. DT Slovenia DMC has beside head office located in Ljubljana, also another two branch offices, one located in Ljubljana Center, Vošnjakova 3, 1000 Ljubljana and another in Slovenian seaside town Portorož, Obala 55, 6320 Portorož. Through dedication, passion, expertise, teamwork and sincerity, agency TerraNautika transforms clients Vision into a Reality with Sense! 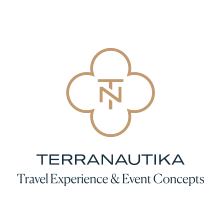 TerraNautika Montenegro is specialized in the organisation of memorable incentives, professional meetings, multinational congresses, car launches and corporate events with a natural adventurous touch. Discover Montenegro, only 2 hours away from mid-Europe, a small country that offers so much natural wealth, beauty and diversity: the mountains, idyllic lakes, wild rivers, blue sea, green meadows and awesome canyons. The great advantage from Montenegro is that agency proposes a wide variety of incentive adventurous activities combining: mountain and sea, cultural and natural settings, winter and summer, action and relax, luxury and authenticity. Hence, in one day clients will have the opportunity to dive in the Adriatic Sea, have lunch on the banks of the Skadar Lake, and enjoy skiing in the Montenegrin Mountains. As Destination Management Company TerraNautika Montenegro provides all the creativity and logistical expertise which clients will need in Montenegro and its neighbouring countries to provide the best match to clients inquiry. 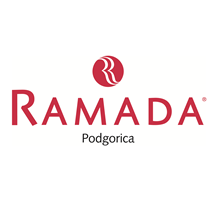 Agency TerraNautika Montenegro is looking forward to welcoming you. 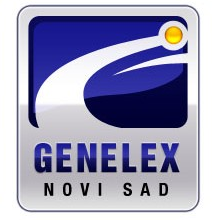 Genelex has over 10 years of experience in business and tourist transfers from Novi Sad to Belgrade and Nikola Tesla Airport. The Agency performs the transfers at the request of the client, both in country and abroad, with comfortable cars and cargo vans. The vehicles are air-conditioned and equipped with GPS navigation and Wi-Fi internet access, so that all customers can communicate and conduct business while traveling. Drivers speak Serbian and English. It is possible to pay for services in the vehicles by means of cards VISA MASTER MAESTRO. 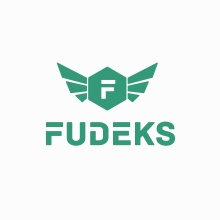 Fudeks Company Ltd. was founded in 1989. Over the years, Fudeks has achieved a great success in business, in relation to international and domestic road passenger transport. Fudeks has 30 buses and 10 vans. Buses are high tourist class, not older than 10 years, air-conditioned, fully equipped with TV, video and audio equipment, with toilet and a refrigerator. well as a warehouse for spare parts. Agency OMNIBUS Travel is specialized in providing Transfer & Coach services. Transfer of clients to any desired destination through the country or aboard, rent-a-car services and sightseeing tours around Belgrade and entire Serbia with licensed guides. Agency has a fleet of different types of vehicles, cars, mini vans, mini buses, buses and double deckers. All our drivers are English speaking and professionals that will help you to meet the secrets of our beautiful country. AS Congress Service started in 1969 as a small family owned business. Today, 48 years later, it's not only that AS Congress Service is a regional leader in its business, but the world itself has become a very different place, with Internet and smart technology being an inseparable part of everyday life. Still, some things haven't change – our wish to improve communication on events, and our passion for exploring all the benefits technology can bring to Meeting and Event industry. Regardless of event type and size, each event today demands connectivity and interaction – between presenter and attendees, between attendees themselves, between organizer and everybody involved. We are helping you to achieve that goal using our knowledge, experience and modern technologies. Projection systems, interactive voting, simultaneous interpretation, presentation management, IT and network equipment and microphone systems, along with speaker systems, tweet walls and e-posters are just a part of our offer which will help your event to be remembered. And if you have remote attendees, you will surely need our camera systems, video recording and internet streaming. 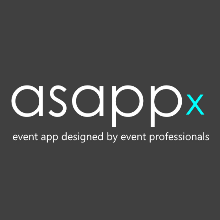 Last in the line of innovations AS Congress Service brought to the regional market is our new mobile event app asappx. Built on flexible and proven platform, asappx will always be fully customized for your event, both in content and in visual presentation. Over 25 functionalities are available – from Program, Speakers and Documents, over Push notifications and Maps, all the way to Voting, Q&A messaging, Surveys, Chat rooms, Check-In and MatchMaking. The basic configuration already has 12 functions and starts with only 800 EUR/event, and additional functions are not charged in packages but individually. Give your attendees a communication and information tool they expect! Instead of ordinary, why not having an extraordinary event? Check the details on as-congress.com and on www.asappx.com. Count with AS! For more than 25 years we are helping associations and companies to achieve their targets with our knowledge, expertise and commitment. As a PCO (Professional Congress Organizer) agency we are specialized in congress and conference organization, from bidding process, onsite operations to budgeting, financial reporting and feedback analysis. 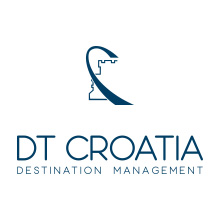 We are a DMC (Destination Management Company) for Croatia – handling for you all requests for incentive programmes. Our goal is deliver on promise – we want you to be congratulated on the job well done.